August restaurant has a home in Midtown’s shopping district. 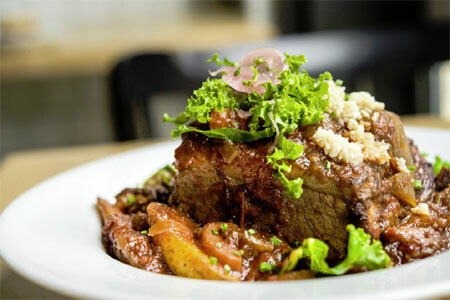 Likes: Dishes are fresh and change seasonally, offering a solid if not exciting variety of bistro fare. Dislikes: The noise can be downright painful with guests seated at tables with little space in between. Food & Drinks: Dining creations range from the casual seasonal lobster roll, lushly dressed on a toasted brioche roll, to roasted organic chicken and braised short ribs, holdovers from the downtown outpost. Popular side dishes and appetizers have happily been brought uptown as well, notably the Brussels sprouts with sriracha honey and Marcona almonds, and the ideally charred Caesar salad. Cocktails are creative and there is a nice selection of wines by the glass. For dessert, the crème brûlée takes on a pleasing toffee-like cast and fruit dishes can include vanilla-roasted Mission figs topped with mascarpone cheese and hazelnuts.